We’re about to release a free update to Beauty Box Video (2.0.4… look for it next week) and figured it was time to talk about GPUs again. We’re seeing 500-800% speed increase using the GPU on newer graphics cards, especially Nvidia boards which seem to be more stable than AMD or Intel. So where are we getting these numbers and how do YOU get them? We tested NVIDIA Quadro 4000 and GTX 570 boards. The GTX 570 was the faster board, which should be exciting for those of you on a limited budget. All the tests were focused on Beauty Box, so there weren’t any other effects, 3D, or other GPU using stuff. In After Effects, we had a two short 1080p comps, one 17 seconds and one 10 seconds. With both of these, we saw about a 500% speed improvement. Going from a render time of 5:01 down to 61 seconds using the GTX 570. 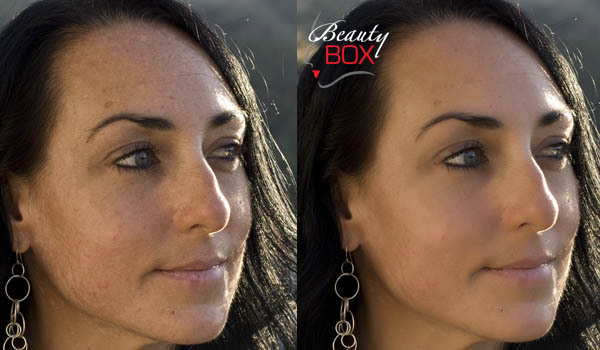 The big difference was in Adobe Premiere, where we tested Beauty Box on a minute long 1080p clip. Using the GTX 570 the render was sped up by a whopping 800%! It rendered the clip in 5:44 vs. 49.32 for the cpu rendered clip. The Quadro was a bit slower, rendering in 7:58, but still a 600% improvement. If you’re using Adobe apps, Nvidia is the obvious choice since Adobe uses CUDA to accelerate a lot of things. Beauty Box uses OpenCL, so we’re mostly agnostic about the video cards. However, as mentioned, the Nvidia cards have been the most problem free cards, so we tend to recommend those. If you have an AMD card you should see significantly faster rendering in Beauty Box as well. If you don’t have an updated video card, you’re probably spending a lot more time rendering than you need to. Especially if you’re using Beauty Box. You don’t necessarily need the latest and greatest video card, the GTX 570 is only about $250, and AMD 6000 series cards offer good bang for your buck as well. If you’re on a Mac, your ‘official’ options are either a GTX 285 (does not support the latest version of CUDA) and a Quadro 4000 (good board but expensive). So look into getting a PC card and ‘hacking’ it to make it work. It’s actually pretty easy. Here’s a blog with info on how to do it for a 570.